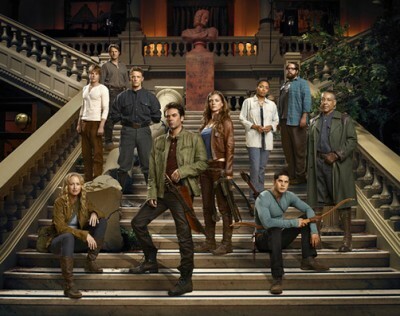 Performers include: Billy Burke, Tracy Spiridakos, Anna Lise Phillips, Graham Rogers, JD Pardo, Zak Orth, Maria Howell, David Lyons, Giancarlo Esposito, Tim Guinee, Elizabeth Mitchell, Derek Webster, and Daniella Alonso. This dramatic science-fiction TV series explores the question “What would you do without it all?” A family struggles to reunite in an American landscape where every single piece of technology — computers, refrigerators, air conditioners, planes, cars, phones, lights — has mysteriously stopped working. Electrical power has simply gone away. The show also revolves around the idea of family — both the family you’re born into and the family you choose. Charlie Matheson (Tracy Spiridakos) is the headstrong, curious and daring daughter of Rachel (Elizabeth Mitchell) and Ben Matheson (Tim Guinee). Ben is hiding a mysterious secret about the blackout. Maggie (Anna Lise Phillips), a medical doctor, became involved with him following his wife’s death. When Charlie’s younger and thoughtful brother, Danny (Graham Rogers), is kidnapped by militia leaders, she must reconnect with her estranged uncle Miles Matheson (Billy Burke), a former US Marine and warrior who’s living as a recluse. Together, with a rogue band of survivors, they set out to rescue Danny, overthrow the militia and ultimately re-establish the United States of America. All the while, they explore the enduring mystery of why the power failed and how or if it will ever return. 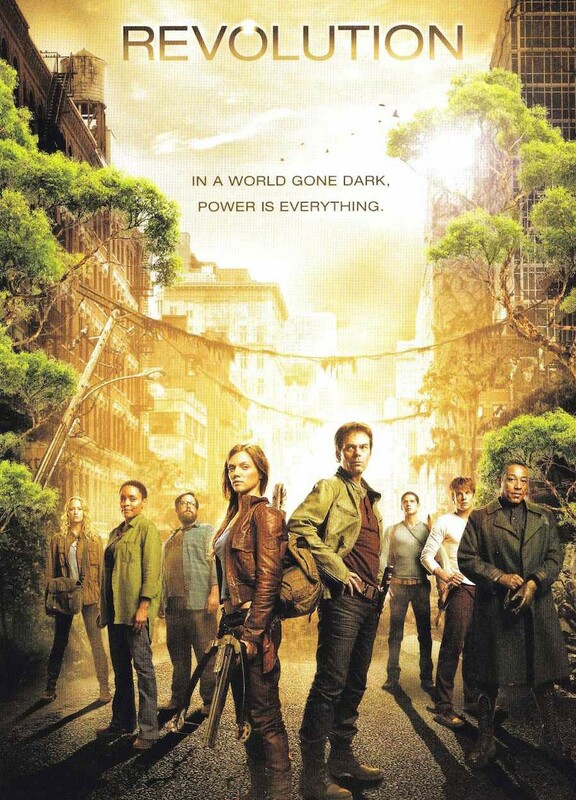 The rebel group includes fighter Nora (Daniella Alonso); General “Bass” Monroe (David Lyons), a former Marine who served alongside Miles; and Aaron (Zak Orth), a former Google executive and a computer genius who’s ill-prepared for the rigors of the technology-less world. Captain Tom Neville (Giancarlo Esposito), a cultured former insurance adjuster turned Monroe Republic leader and Nate Walker (JD Pardo) is a member of the militia who has conflicted feelings for Charlie. Miles (Billy Burke), Charlie (Tracy Spiridakos) and Monroe (David Lyons) launch an attack on the Patriots, but must improvise a risky new plan in order to halt the oncoming war between California and Texas. Out for revenge, Neville (Giancarlo Esposito) sets his sights on President Davis (guest star Cotter Smith). Meanwhile, Aaron (Zak Orth) and Rachel’s (Elizabeth Mitchell) efforts to save Priscilla (guest star Maureen Sebastian) from the nano-tech has unexpected consequences. First aired: May 21, 2014. What do you think? Do you like the Revolution TV series? Do you think it should be cancelled or renewed for another season? I love that show. I don’t think they advertised it well. But I wish they would bring it back!!! !